Everyone wants to improve themselves, move from their current state to a better state. Right now, we are sure that you have things that you want to happen in your life. Maybe it's a new job, or a new relationship or just to develop yourself in some way. This course is about helping you take the next step in your journey. This course will teach you some things that successful and happy people have been doing for generations. Many such people pass these ideas to their children. Some of us were not so lucky to have a mother or father who taught us the basics of moving towards a better state. We just had to figure it out on our own. At Educate24, we hope you use this course as a tool to improve your life by giving you some principles to help you move forward. Maybe you want to BE more loving and patient with your friends or children. Maybe you want to BE a doctor one day, or to BE financially independent. Maybe you want to BE free from certain burdens. These are aspirations about your inner state. Maybe you want to go somewhere on a trip. Maybe you want to get a degree from a certain institution or read a particular book. Maybe you want to run the Comrades Marathon or even just jog 5 km without stopping. Maybe you want to get a job in a certain company or get a promotion. These are aspirations about DO-ing things. Maybe there is a particular car that you have your eye on, or even a dress or pair of shoes. Maybe you have always wanted to live in a particular area, or have a certain kind of phone. Maybe you have a certain piece of furniture you have always wanted to afford, or a type of sound system or television. When you write down your goals and dreams, it helps you to see what is important to you. You will also start to get a picture of what it is going to take to get there. Keep this list in a safe place. You may notice that over time, your priorities change. THAT'S OKAY! It shows that we grow with time, and that the way we see the world and our future changes with time. Understand this…. in order to get the things that you want, there is a PATH that you need to take. Just like a journey, there will be a starting point and a finish line. If you complete the journey required, then you will have achieved the goal. For example, if you REALLY want a new TV set that you cannot afford right now, then you must start the journey to save for it. 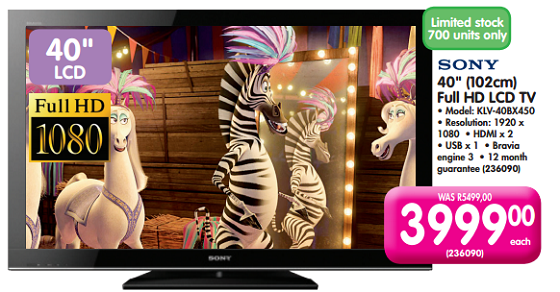 If you save R320 every month for one year, then you will have R3840 at the end of 12 months (almost enough to buy the TV below). There was a starting point, and a finish line. You did it! Now think about other goals, dreams to get a better education, dreams to get a better job, dreams to DO, BE or HAVE things that will make your life better. There is a starting point, and for most things, a finish line. Now, along the way… there will always be twists and turns that impact on the journey. The reality of life is that things don't turn out the way we expect, plan or hope. Maybe in month 5 of your TV saving journey, you drop your phone and you need to replace it using the R1600 that you have saved up already. Or worse still, you have the money stolen and you have to start again. This doesn't mean that the goal is gone, you will just need to change the timeline a bit. Maybe a friend offers to give you their old TV. Although it is second-hand, it is a much nicer TV than the one that you had budgeted for. Wow, that was nice! Now you can start to save for something else. Maybe during the year of saving, you realise that you want to start a business, and that you need to get a laptop. Your dream of being a successful entrepreneur starts to overshadow your dream of a new TV. 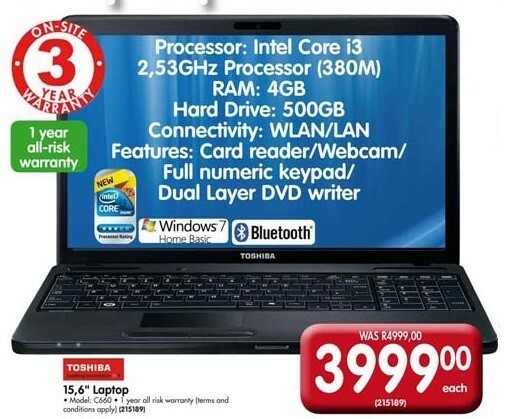 You decide that you will get a TV another time (who needs a TV when you have a business to run), so you shift your savings towards a laptop that you saw in the same advertisement. As you can see, things don't always work as planned. This course is about understanding your journey, and taking steps towards achieving your goals. During the course, you will learn some helpful concepts and also face some tough realities. You will never have 100% control over the outcome, but you do have the greatest say of how your journey will go. We, at Educate24, hope that this helps.